GKB Ideal For Artificial Maintenance: Launching his dedicated artificial sports turf maintenance business this month, Sports and Courts Maintenance Ltd, Jon Lawson was looking for something that would decompact and assist in the deep cleaning and rejuvenating of artificial sports turf and was impressed with the robustness of GKB’s Renovator and the size of the double heads of the Rotobrush. “We have a lot of tennis clubs complain that they’ve got very compacted baselines and the Renovator and Rotobrush tick all the boxes. For us it was the answer to going forwards with the new business, offering this additional service on top of the deep cleans and everything else we already do” Jon adds. 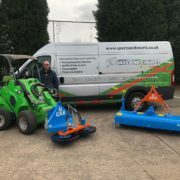 The GKB Rotobrush enables you to brush deeper and more effectively as the rotating brush disc is provided with extra rigid bristles which are pressed into the synthetic turf. Where the functioning of normal brushing and cleaning stops, the Rotobrush will continue. The GKB Renovator’s five rotating brushes form the foundation of the machine and because the brushes interlock into each other, you will not miss a single inch when you are operating on your pitch. 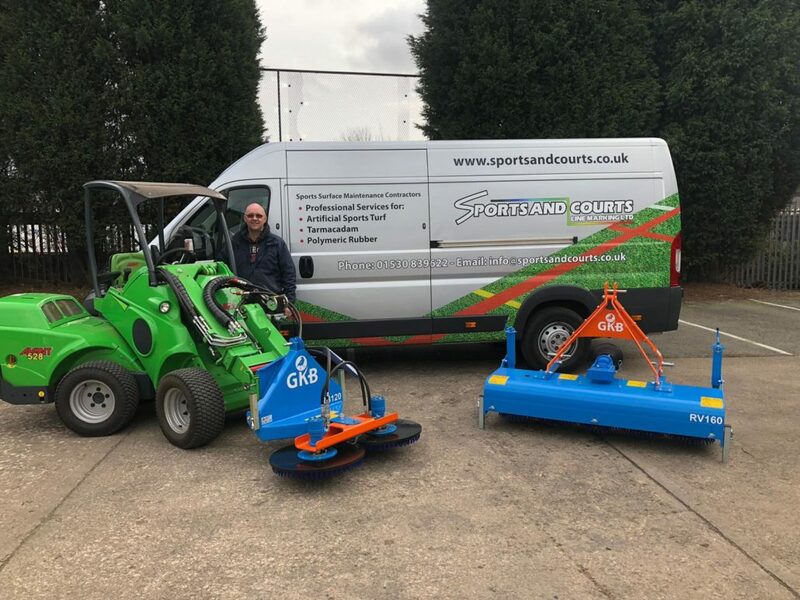 For more on GKB Machines and their reliable and robust range of machinery for natural, hybrid and synthetic turf, please visit www.gkbmachines.com or contact Tom Shinkins on 07495 883617.